9 X 11 canvas painting signed by Pourtless. The painting is a river with a bridge that can be traveled under by boat. The is a village with buildings and people in the background. Painting is in good shape. This is the 4th Pourtless painting I have submitted for appraisal. Georg appraised the first one. Deceased Aunt's estate. She travelled abroad in her younger years. Thank you for submitting your item for appraisal. 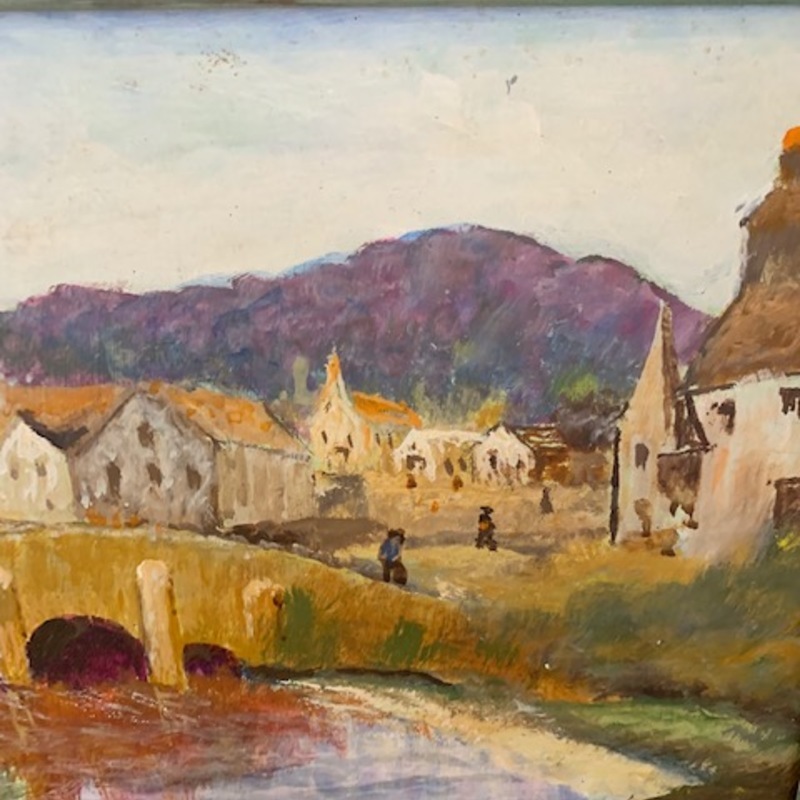 This appears to be a second half 20th century painting on artist board, depicting a landscape in France or Belgium. Surprisingly the artist is completely unknown to the art market. The artist must have received some training, but never exhibited or sold paintings at auctions. The estimate is based on similar items of lesser knowns artists sold at auction.